Nothing in and nothing out this week. 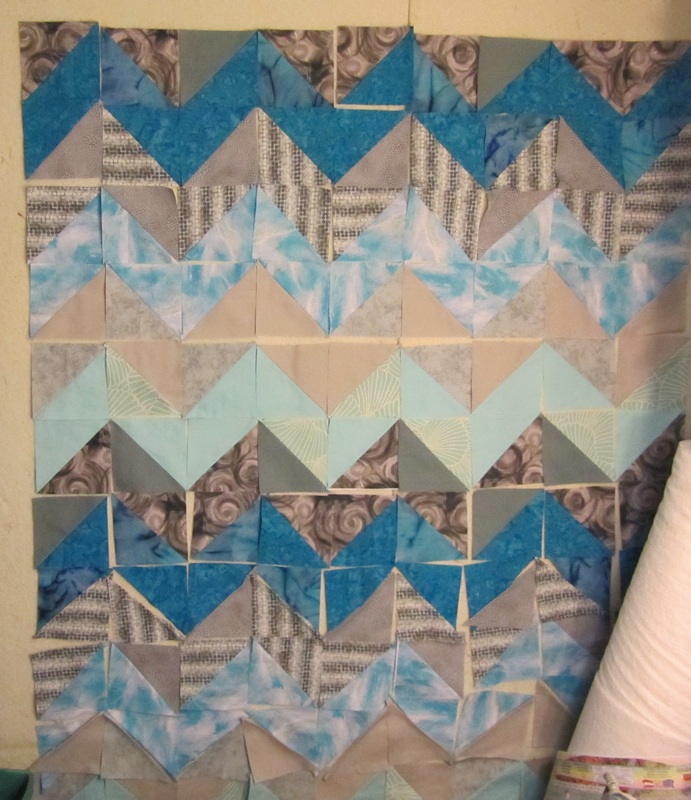 I’m quilting the turquoise and gray chevrons, so that will be in next week’s report, I hope. So what’s Yuri so interested in, if it’s not the stash? His boy is home from college, and was pulling in the driveway when I took this. Sure made his ears perk up. May you all spend this week with people who make you happy. 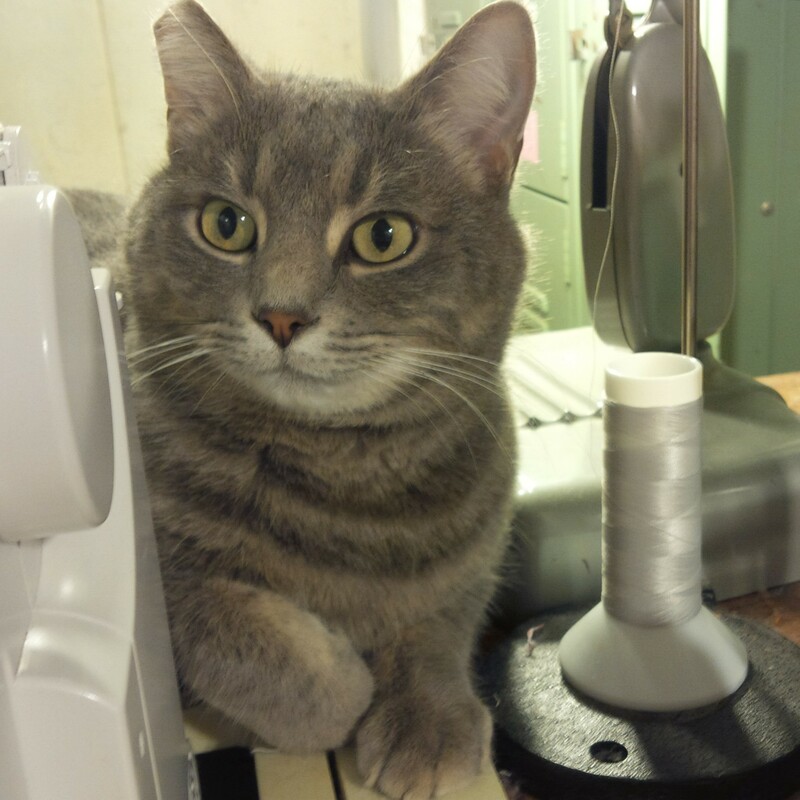 Categories: Stash | Tags: cats, Evening in the Garden, Patchwork Times, Sunday Stash, sunday stash report, Valerie Root | Permalink. 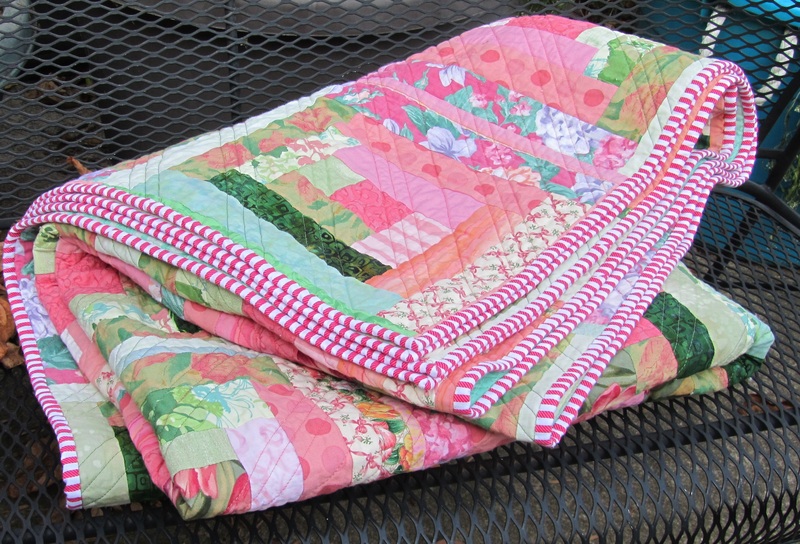 I finished this quilt and finally found a pleasant day for photographing it. It’s a big throw, 60″ x 82″. I blogged more about making it here. I know fabric is fabric, and the last inch costs the same as the first, but somehow a quilt made entirely out of strings seems like a dividend. 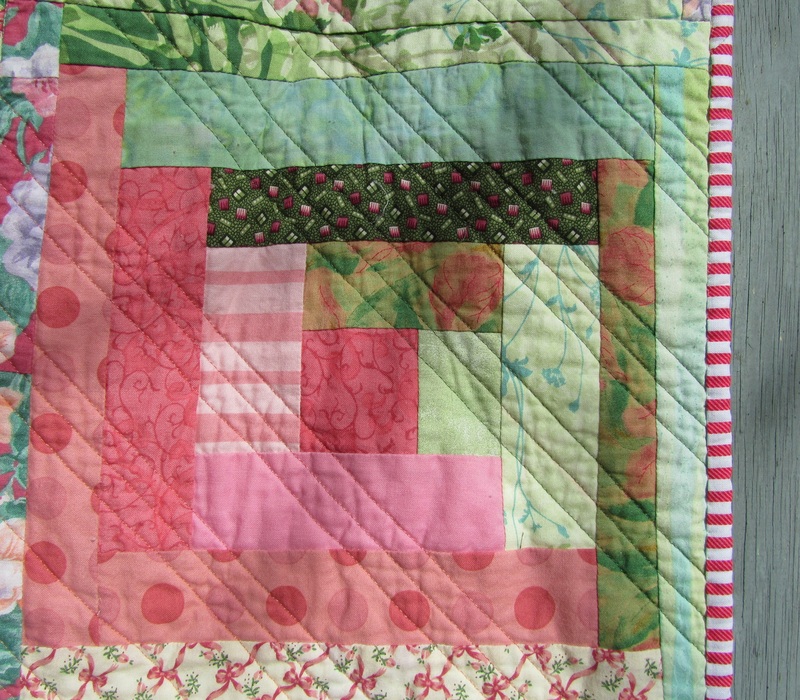 I quilted it with diagonal lines using the walking foot. 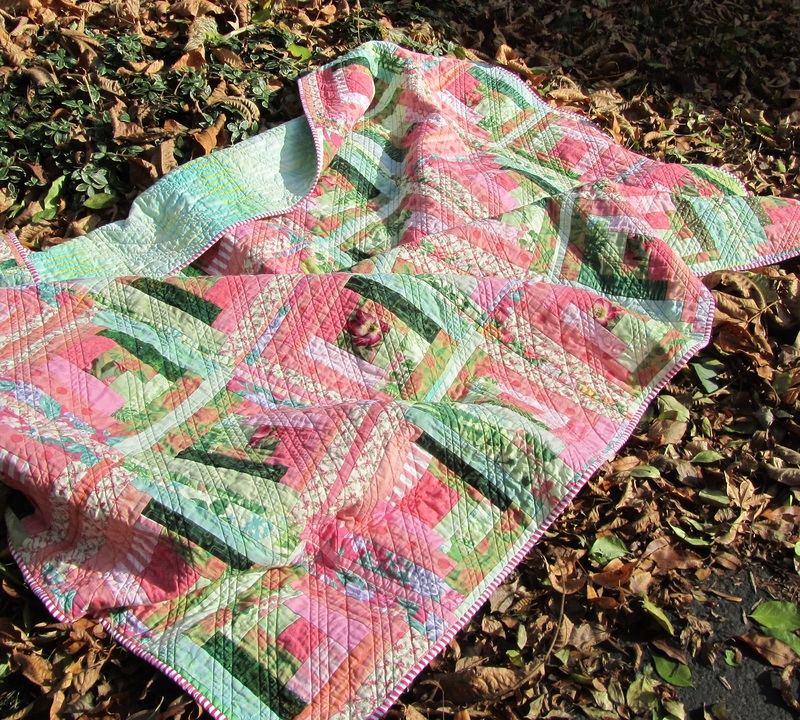 I used pink and green Superior “Living Colors” and “Nature’s Colors” threads. I’d love to see what you’ve finished. 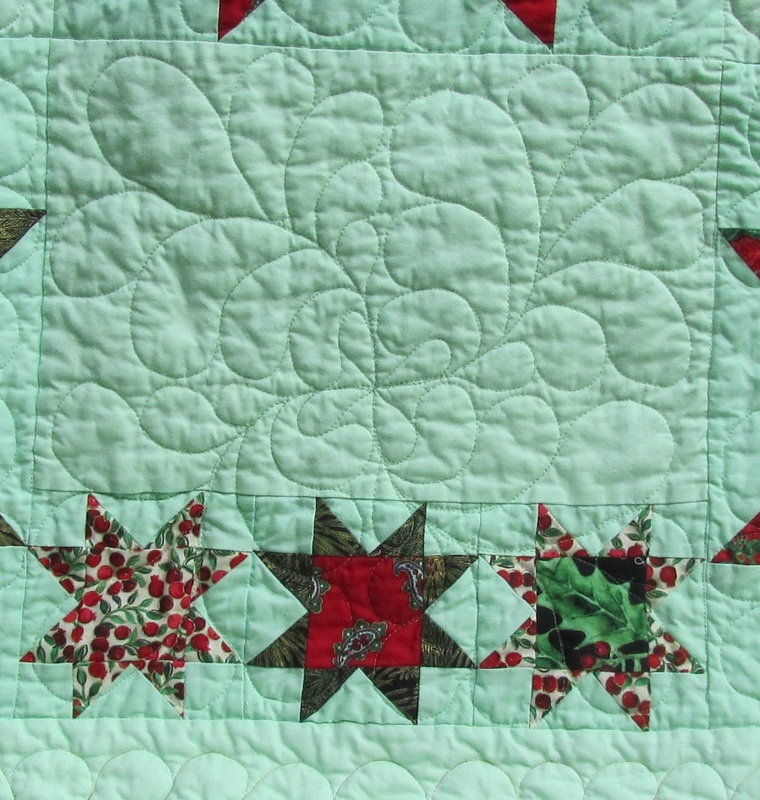 Categories: Finishes | Tags: Crazy Mom Quilts, Evening in the Garden, finish it up friday, log cabin, modern quilt, stash reduction, Valerie Root | Permalink. 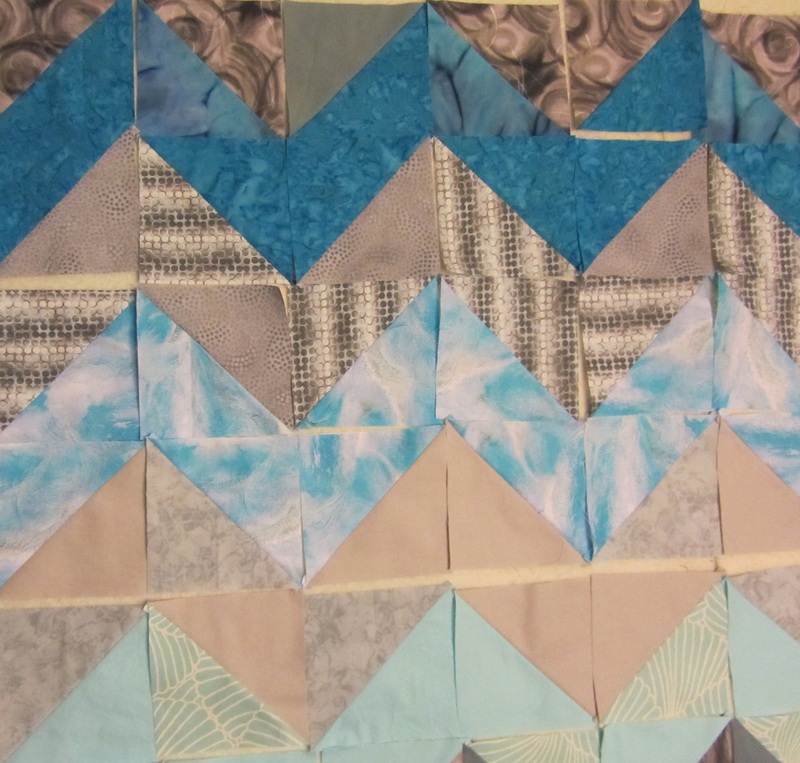 This week I’ve been playing with HSTs in grays and aqua through turquoise. I’m trying to do something interesting with the color transition, but I don’t know if I have. I sewed half of them together wrong, so I had to rip apart my nice, pressed open, unstretched blocks and sew them back together, probably all stretched out. Also, I completed Step 3 in the Scrapitude Mystery Quilt at Quilting for the Rest of Us. Each of these steps is pretty quick, and we’re skipping December, so you could certainly catch up if you want to join us. Categories: Uncategorized | Tags: #scrapitude, Evening in the Garden, freshly pieced, Valerie Root, wip wednesday | Permalink. Before I celebrate this week’s good destashing. I’d like to explain my poor communication here in Blogland. I am, by spells, quiet and content to lurk on the sidelines, but lately I’m blaming my electronics for not getting back to you. I know I’m lucky to own several hi tech devices, and I feel a little like the quilter who complained because she had no shoes until she met one who had no feet. However, said devices have been in a state of mutiny lately. Last month my newer tablet decided that it didn’t want to be an Android tablet anymore, but just wanted to read Nook books. I really liked reading my Feedly feed on it (and commenting), and posting to this blog from it (and answering comments). 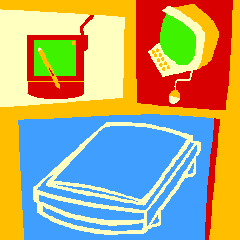 I’ve been using my old tablet that sometimes turns on and sometimes doesn’t. And now, when I get to the end of one of your blog posts, and am all revved up to comment on it, it refuses to give me a keyboard. The cursor is there. Just nothing to type on. No matter what I do. And by the time I’m on my laptop I’ve forgotten where and on what I was so interested in commenting. I have been visiting others when I join a linky party, but I’m doing a terrible job of getting back to my commenters. After a month or so of having trouble accessing my email on the laptop, I finally deleted my account and set it all up again. Then I was getting all my email, and thought I was sending some out, but turns out they were all stuck in my outbox. Yesterday, I looked at the error message again, and noticed I had spelled “server” without an “r”. I fixed that, and a month’s worth of emails and comment answers went spewing into cyberspace. It was probably confusing to get an answer to something you said to me weeks ago. Anyway, I have been reading and appreciating your posts, as well as your comments on mine. I just haven’t been able to tell you. I’ll keep trying. 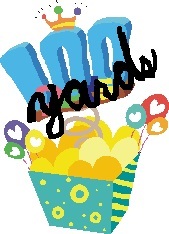 Now, thanks to my Pink and Green Cabins quilt (which I will photograph when the wind and rain stop), I have reached 100 yards! Categories: Stash | Tags: Evening in the Garden, sunday stash report, Valerie Root | Permalink. I was just going to piece a few blocks. So I pieced 35 wonky log cabins. And then assembled them into a top. And now I’m quilting them. Just seemed like the thing to do this week. 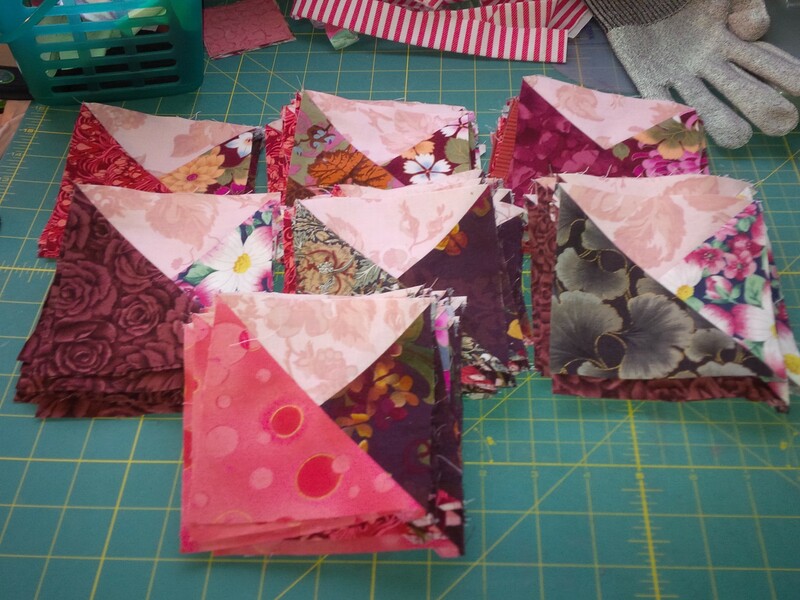 No fancy quilting on these busy blocks. 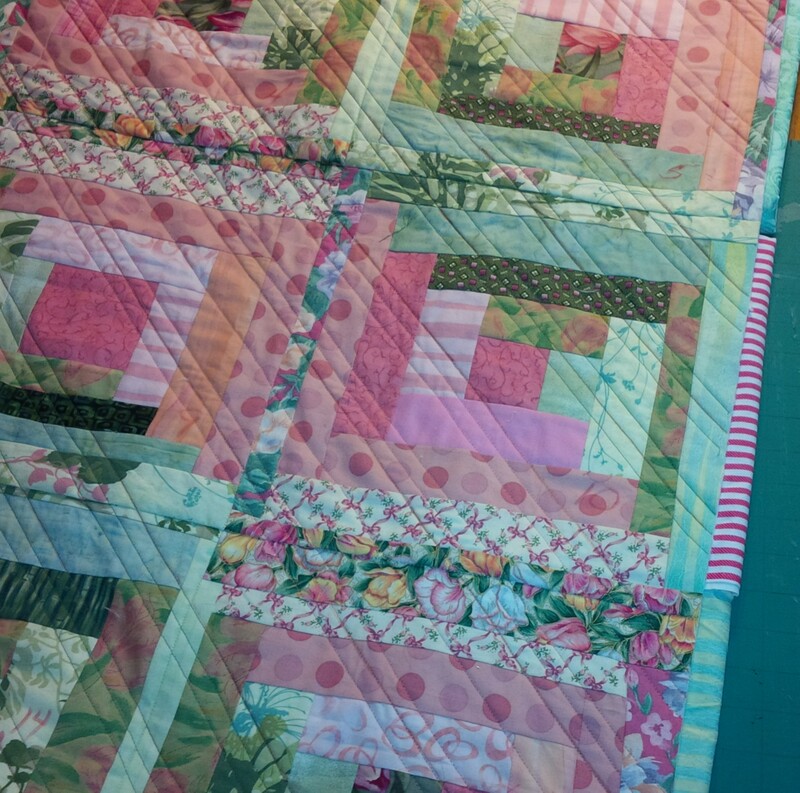 I’m quilting long lines on the diagonal with the walking foot and some beautiful thread. If you push enough tables together, you can support any quilt! 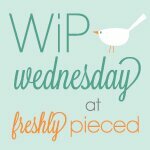 Categories: Uncategorized | Tags: destashing, Evening in the Garden, freshly pieced, Valerie Root, wip wednesday | Permalink. Lots of sewing this week! I finished the second Oh My Stars! 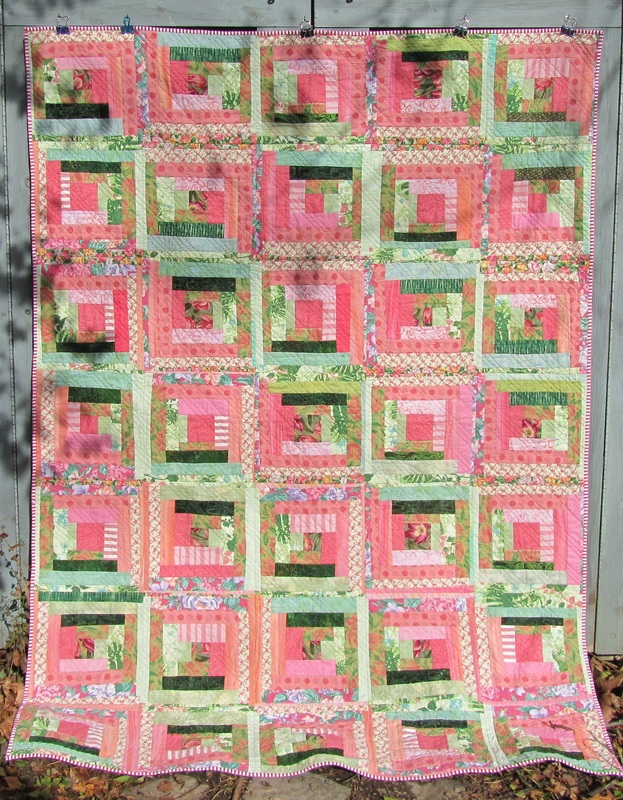 quilt and allowed myself some string blocks (not completed into anything yet) just for fun. My Oakshott fat eighth bundle arrived! So gorgeous! This was the prize I won from Fionna at Celtic Thistle Stitches in her Holiday Memories Mini Quilt Contest. And I bought half a yard of Christmas fabric to bind my last quilt. I know, you’d think something in the stash would have worked, but I swear nothing I had was right. I have really done well using up Christmas fabric (and Christmas-y reds, I guess). Making my way towards 100 yards destashed in 2013! How are you doing? 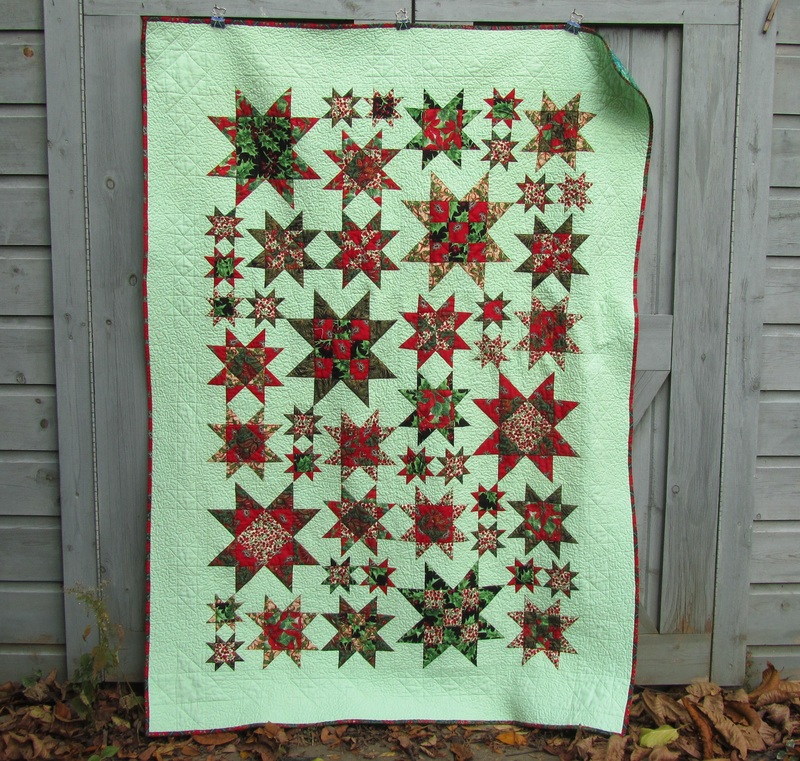 Categories: Stash | Tags: Evening in the Garden, Oakshott, Oh my stars, Patchwork Times, sunday stash report, Valerie Root | Permalink. Oh My Stars: Two Finishes! Here is the first of my two finishes from this project. 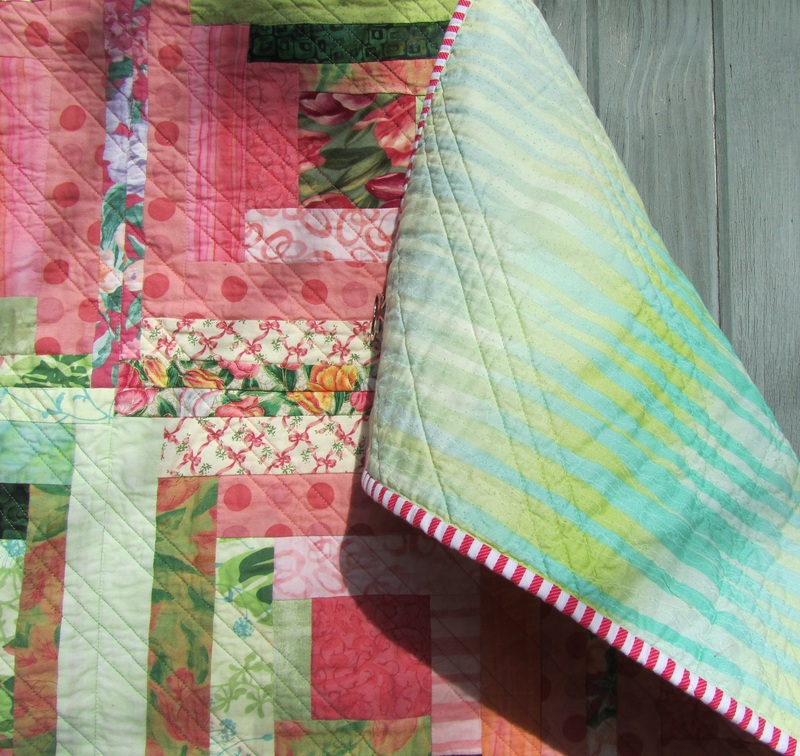 I love the fabrics and the minty green background (Kona “Mint”!). This one has lots of crinkly texture from all the stippling. I don’t have too many UFOs, but this one has been nagging me, and I’m glad it’s finished, and in time for Christmas. This project came from “Oh My Stars! 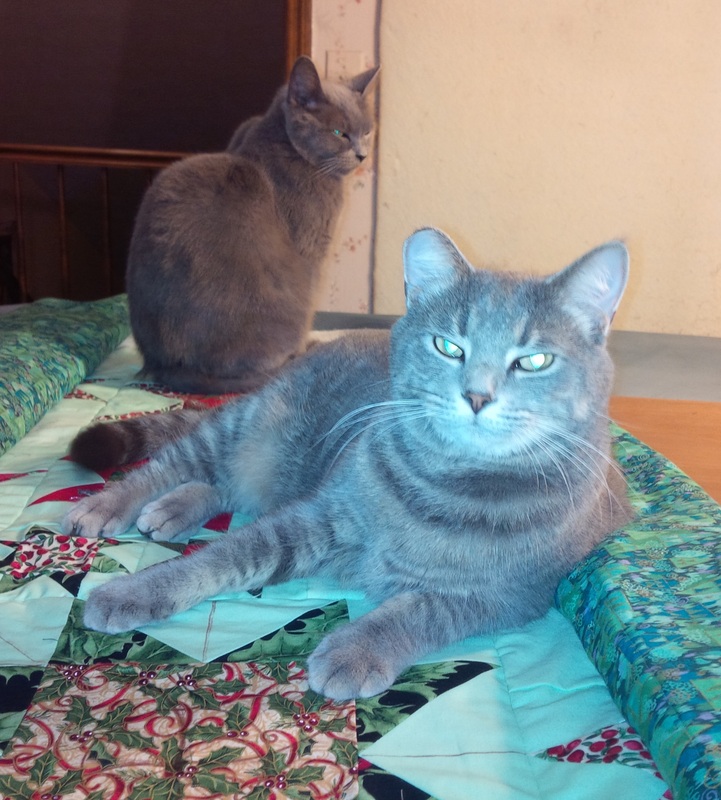 ( a Quilt-Along)” by Sheila of Thought and Found. She organized this almost exactly two years ago, and she did a great job offering twelve different versions of Sawtooth Star. 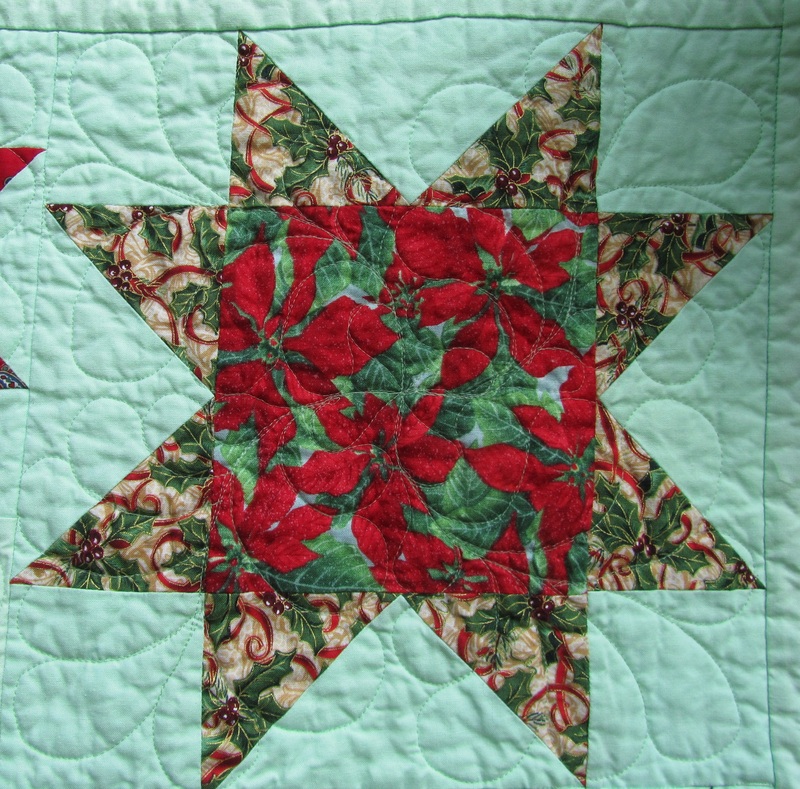 I never intended to make all the very detailed versions with my large-scale Christmas fabric. I stuck with four of the simplest, and I’m happy with the result. 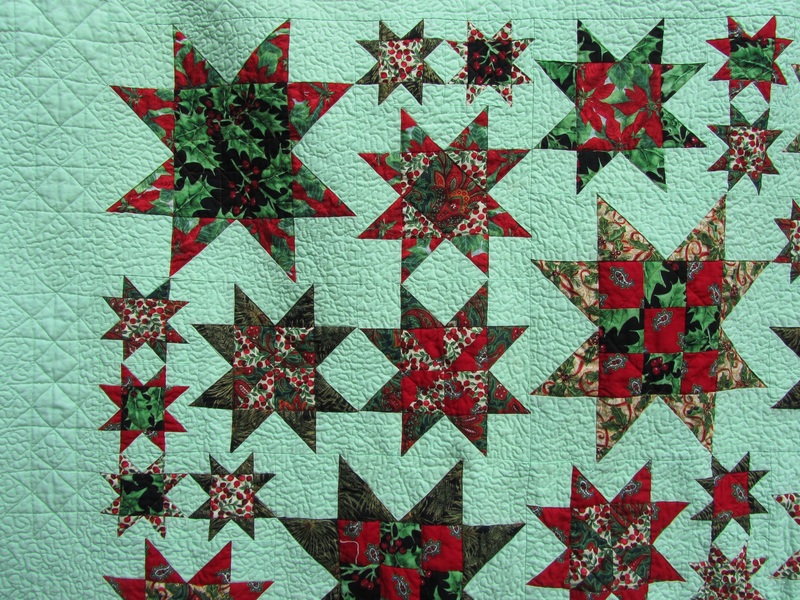 Some quilters did amazing things with this pattern, though. Check out the Flickr group to see some. 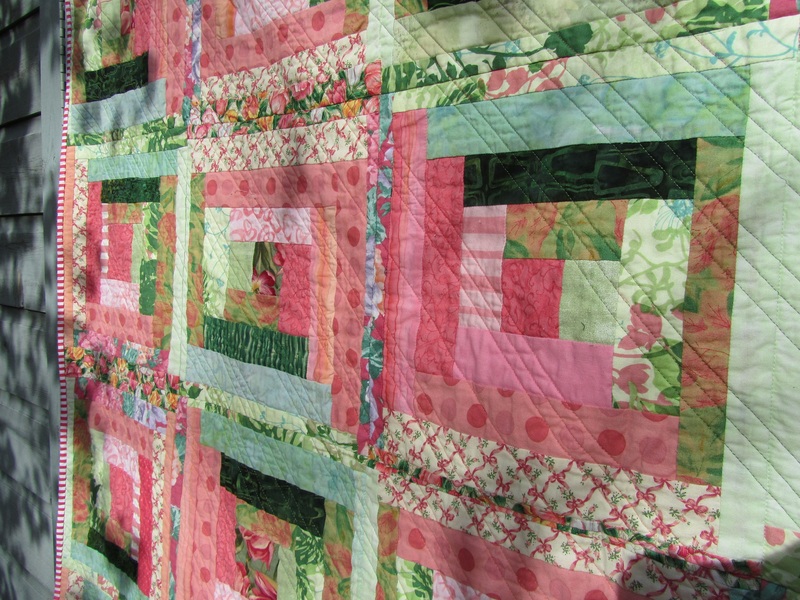 This first quilt measures 52″ x 72″. 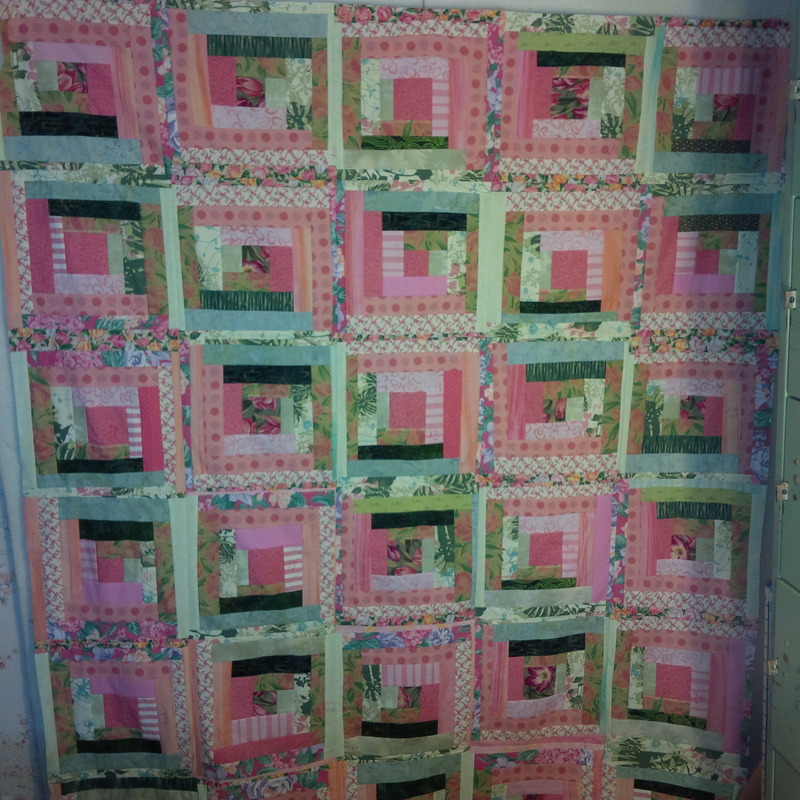 I quilted all the blocks in the ditch, and stitched the diamond design into the plain blocks. 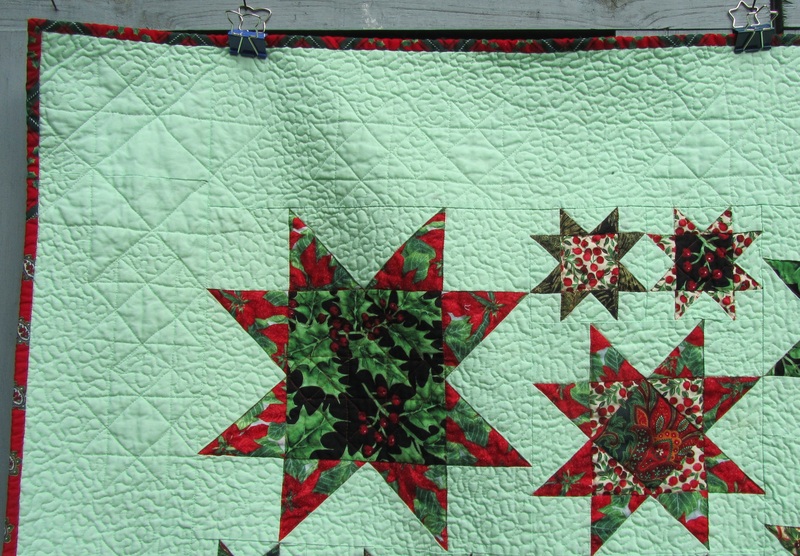 In the border, I quilted 8″ and 4″ Sawtooth Stars, and stippled everything else in the green background. That was a lot of stippling, and I was glad it was finished. The texture is great, but it’s not very original. 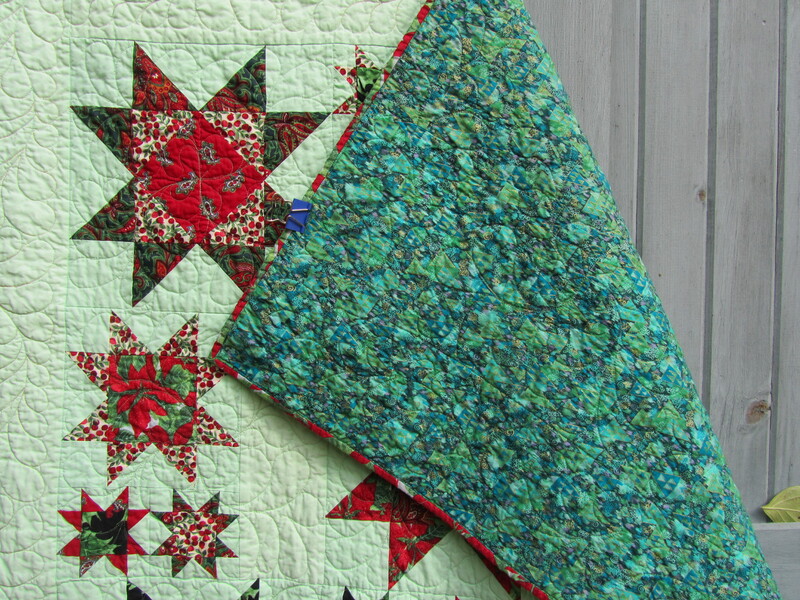 The backing for both quilts is a busy green print from my mom’s stash. I had in mind all this time that it had stylized Christmas trees on it, but they’re just triangles. Looks good, anyway. The second version had a few problems. I needed more Kona solid for the borders and to fill in the empty spaces. I like the effect of the extra space in the design. Unfortunately, when the Kona came, it was not the same color as the original. As a sometime knitter, I know all about buying enough of a dye lot for a project, but I hoped that Kaufmann had it down to a science. Also, it seemed a little thinner than the original. The difference doesn’t show much in these outdoor pictures, but under artificial light it’s pretty noticeable. Not awful. I did arrange it carefully, and hope it looks like a design decision. 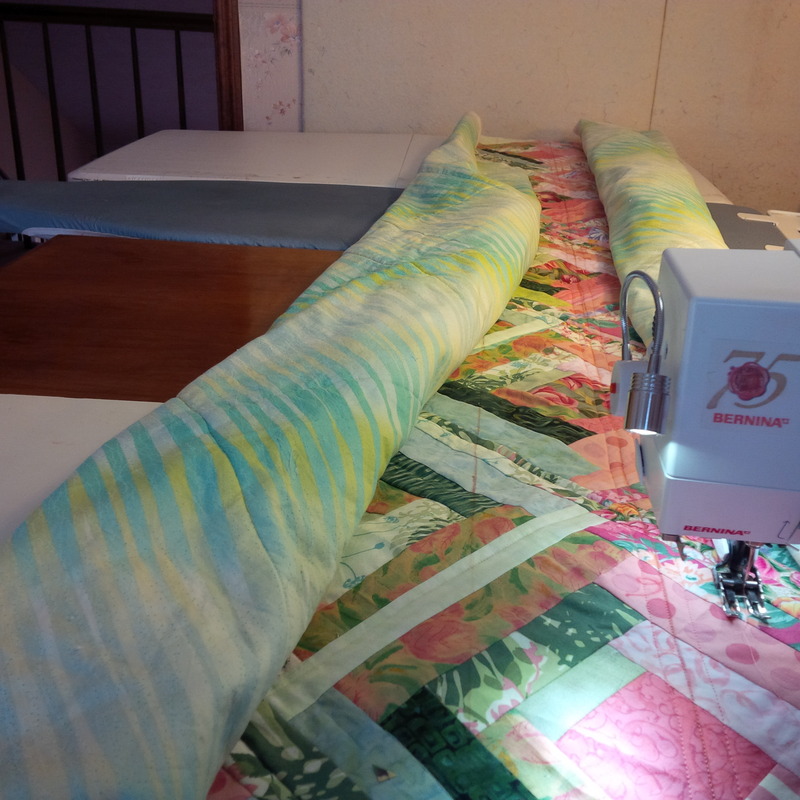 Then I made the decision to quilt the feather border using a red, green, gold metallic thread. I can’t blame Sulky for the problems I had with this. 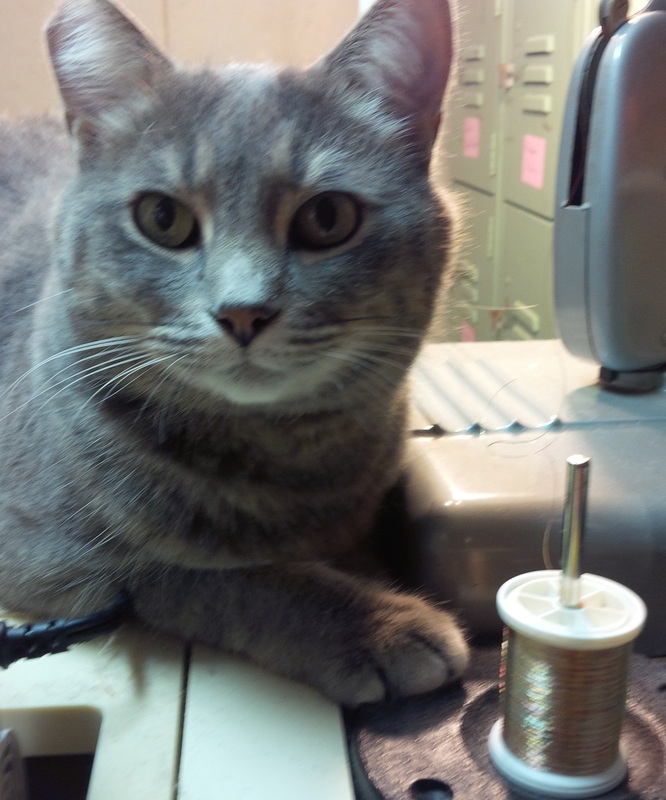 This thread is really old (and I still have a spool and a half! ), and seems to have sort of formed to the spool. My machine does very well with all kinds of threads, and I did a test first and had no issues. The thread didn’t behave too badly for the spine and first side of the feather border. It seemed like the farther I got into the spool, the worse it got. It stuck to itself and seemed rough in the machine. I found that if I manually pulled off a few lengths of thread first, I could sew a few feathers, but there was still breakage. That, and Yuri’s interest in this process, didn’t make for very smooth feathers. I thought this might be a job for Sewer’s Aid lubricant, but my JoAnn had never heard of it. In desperation, I took the spool to the garage and gave it a good spray with a can of silicone showing pictures of cars and boats. Wha la! Magic! Sewed like a dream. Wish I had done it when it first started acting up. 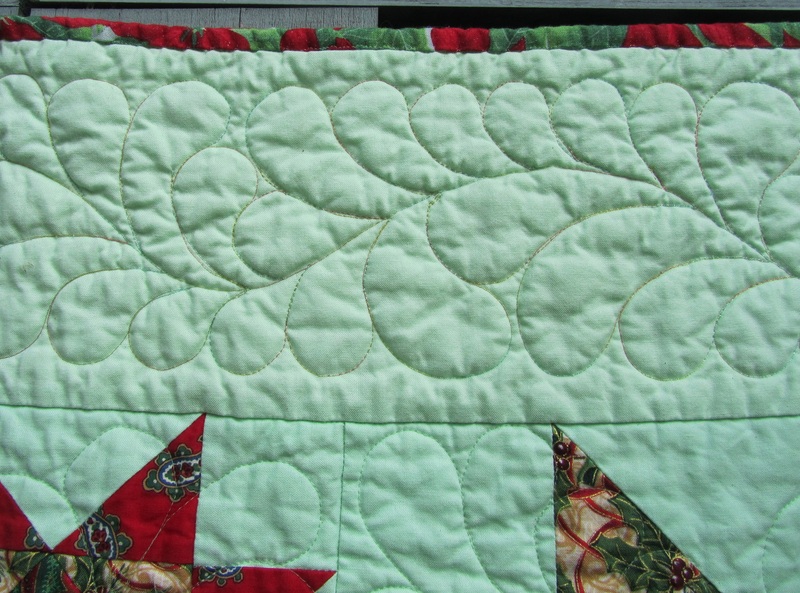 Anyway, this one is quilted all over (in Bottom Line – no problems there!) in a four-sided feather design on every twelve inch block or group of blocks. It shows better in the empty spaces. I really think this is a much more interesting effect, and the border turned out okay after all the drama. This is my favorite of the two (also voted on Twitter! 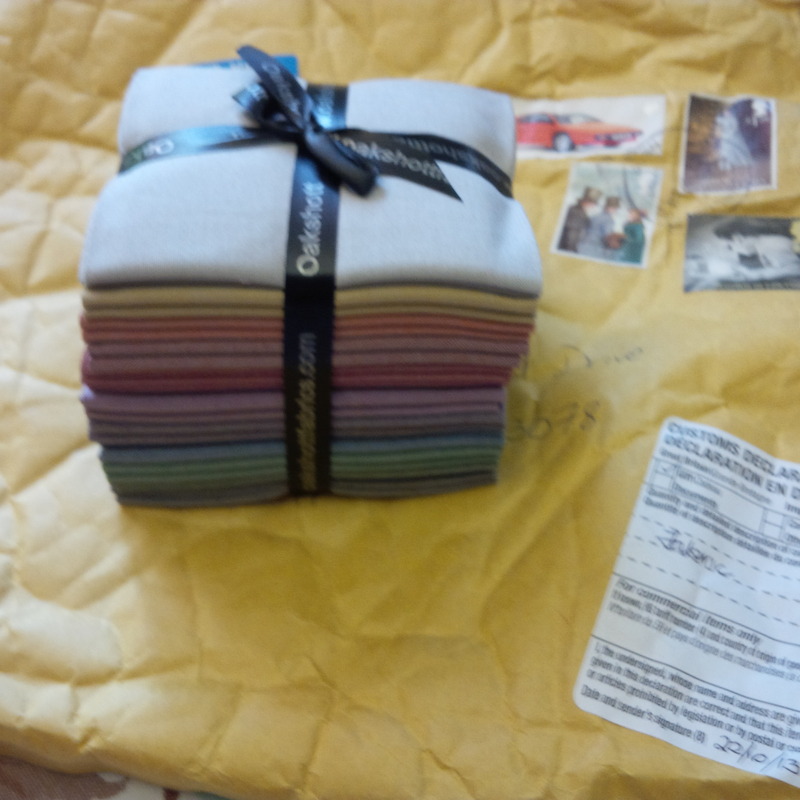 ), and it’s staying home to be my sofa quilt this Christmas. It’s 48″ x 72″. Krissi really liked the first one, but I don’t think she’ll notice. These two jokers were lots of help. 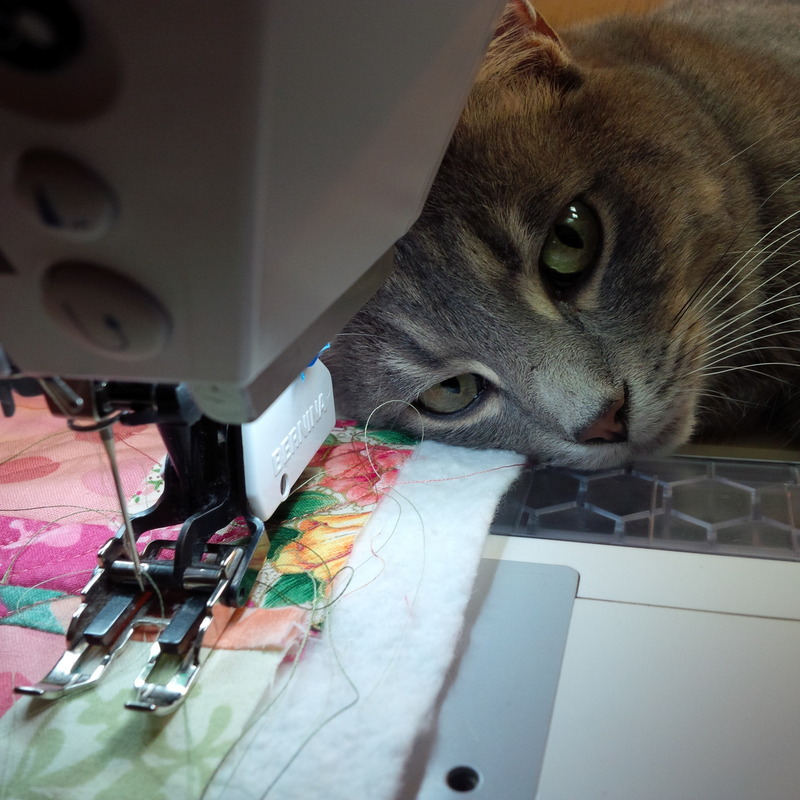 Kind of takes the “free motion” out of free motion quilting! 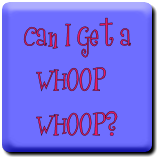 I’m sighing with satisfaction and linking up to Finish it up Friday at Crazy Mom Quilts and Can I get a Whoop Whoop? at Confessions of a Fabric Addict. 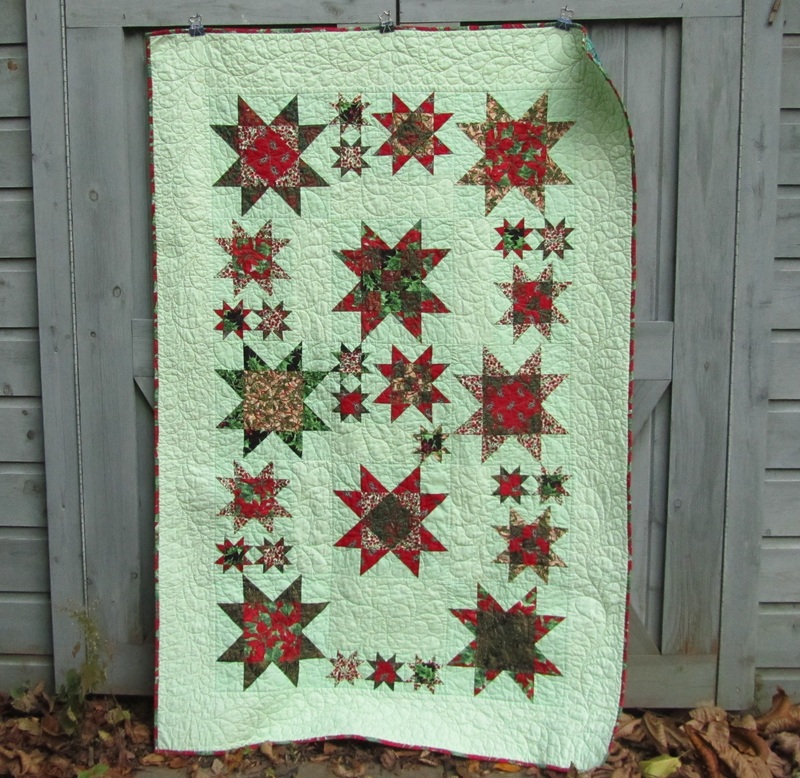 Categories: Finishes | Tags: Crazy Mom Quilts, Evening in the Garden, finish it up friday, Getting It Done, Kona solids, Oh my stars, Valerie Root | Permalink.